A treasure from the sea depths - the caviar extract - is a real elixir of youth for the skin. It works in synergy with concentrated bio collagen that affects the smoothness and firmness of the skin, as well as creates a delicate protective film. An addition of 24-carat gold is an excellent carrier of nutrients. 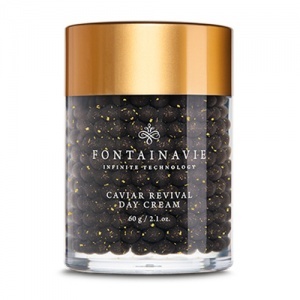 Cream contains caviar extract and bio collagen. Take a little bit of both phases of the cream with spatula, blend together and massage it in. Use each morning on to cleansed and dry skin.